Gov. Phil Scott took his hardline approach on school budgets with him to the polls Tuesday when he voted against the school budget in his hometown of Berlin. So, too, did the majority of town voters. The $3.5 million elementary school budget failed by a tally of 208-173, school board chair Carl Parton said Tuesday night. Students in middle and high school attend the U-32 school in East Montpelier. Scott predicated his 2018 state budget proposal on level-funding school budgets across the state and urged voters to “do the math” as they voted at town meetings. But the math on school budgets is never simple. Depending on how you measure an increase, the budget Scott voted against arguably fits the definition of level-funding. Scott said in a phone interview Tuesday night that after questioning the school board at the meeting, he concluded that the budget represented a per-pupil increase. “Carl (Parton) couldn’t tell us exactly what the per-pupil amount was but it was at least 5 percent,” the governor said. Parton said he tried to emphasize that the school district’s expenses are actually down $130,493, or 3.86 percent, when not including costs related to a previously approved school renovation bond. Voters approved the nearly $3 million bond last November. Scott agreed that the bond shouldn’t count toward level-funding, but he came back to the per-pupil spending and said he couldn’t support an increase. Parton said many voters appear to have fixated on ballot language that described a 14 percent “equalized per-pupil increase.” Such an increase relies on a complicated formula, but state law requires the district to include language about it on the ballot. After printing the budget, Parton said the board learned the increase was actually 11 percent. Parton, too, argued that equalized per-pupil spending is affected by several factors out of the board’s hands. Explaining budget nuances to voters proved difficult, according to school board member Chris Winters. “We didn’t do a good enough job explaining the confusing language and contorted calculation process that we have little control over. Nor did we get much help from our central office in helping us get a grip on the explanation or in getting the word out,” he said. It’s unclear if the governor’s opposition to the budget had any influence on fellow voters. Scott’s spokeswoman, Rebecca Kelley, told Seven Days prior to the vote that the governor wouldn’t reveal how he voted until after the polls closed because he didn’t want to affect the outcome. 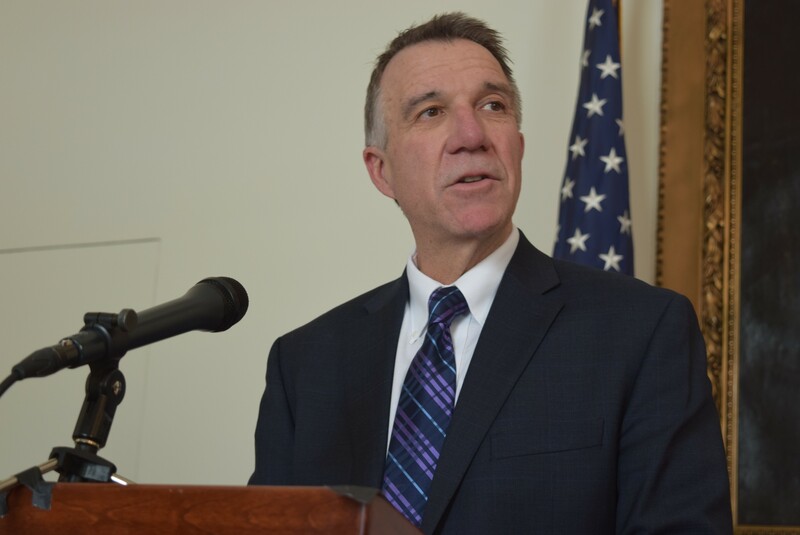 But Scott dropped enough strong hints in interviews at town meeting that WPTZ-TV reporter Stewart Ledbetter tweeted at 3:25 p.m. Tuesday that the governor had voted against the budget — more than three hours before the polls closed. Parton said the 14 percent figure on the ballot stuck with a lot of people, so Scott’s voice may not have tipped the scales. The vast majority of school budgets across the state passed Tuesday, according to the Vermont Superintendents Association. Berlin was among 18 districts where budgets failed while 183 were approved, the group’s tally shows. Fourteen budgets are scheduled for later votes. The number of budgets defeated Tuesday is more than last year, when 11 did not pass. But 22 were defeated in 2015, 37 in 2014 and 22 in 2013, according to the association. Meanwhile, back at the Berlin town meeting, Scott voted against a sanctuary town-like resolution. Though the governor backs a similar bill currently in the legislature, the Barre-Montpelier Times Argus newspaper reported that he voted against the declaration because it had not been legally vetted.